2405 Aircraft Control & Warning Unit (Reserve) was located at Halifax, Nova Scotia and was formed on 1 May 1950. 2405 AC&WU was tasked to "train radar and communications personnel in all aspects of air control and warning procedures and to maintain and operate radar and communications facilities as directed the Group Commander Maritime Group". The unit converted to Auxiliary status on 1 November 1951. On 1 March 1952, 2405 AC&WU became the responsibility of Air Defence Command though they still worked closely with Maritime Group. The unit reached Squadron status on 1 December 1953. Narrative reports on the Pinetree Line web site confirm that 2405 AC&W Squadron was active at RCAF Station Beaverbank, NS, during the years 1954 to 1961 inclusive. There is also evidence of deployment to RCAF Station Foymount in 1953, RCAF Station Mont Apica in 1957 and 1959, RCAF Station St. Margarets in 1958 and 1959, as well as RCAF Station Lac St. Denis in 1952. On 31 August 1961, 2405 AC&W Squadron was disbanded as Auxiliary AC&W Squadrons were no longer required due to the SAGE system coming on line. Historical Narrative - 1 June 1961 to 31 August 1961. Organization Order R2.0.1 - 26 April 1961. Organization Order R2.0.0.1 - 28 December 1954. Historical Narrative - 1 December 1953 to 1 June 1954. Organization Order 83/53 - 19 November 1953. 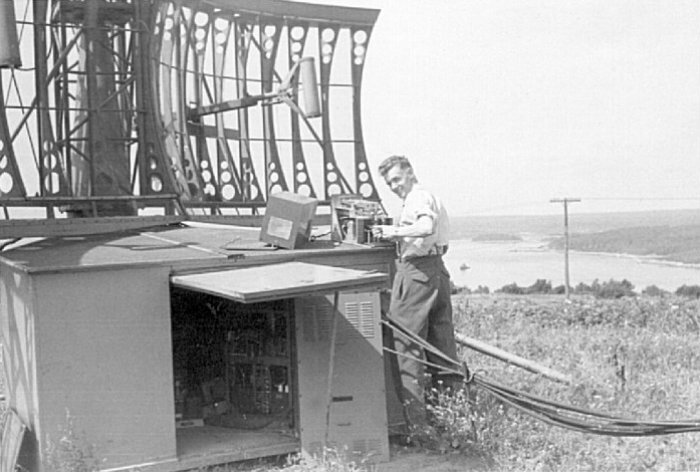 AMES-11C antenna overlooking Bedford Basin in Halifax - June 1953. Organization Order 24/52 - 3 April 1952. 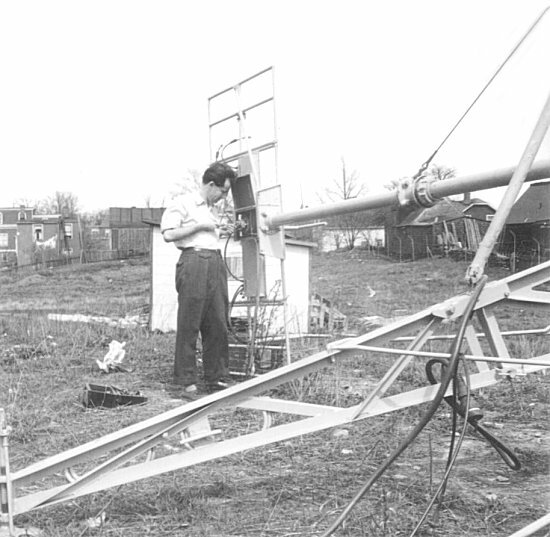 Ivan Mark (CAE) working on the lowered IFF antenna - May 1951. 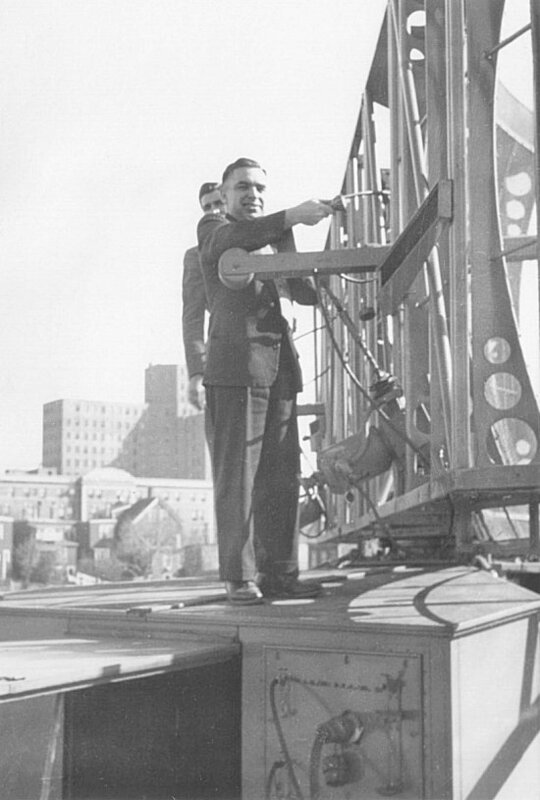 Frank Watts (CAE Team Leader) at the back of the radar antenna - May 1951. 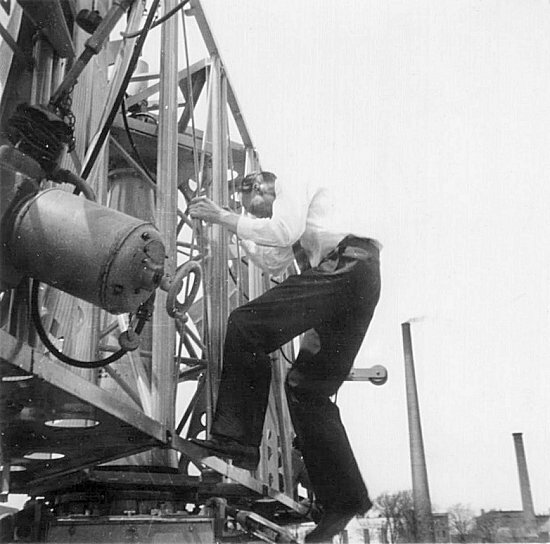 A DND inspector is tugging at a selsyn cable - May 1951. John Livick, CAE, watches with interest. 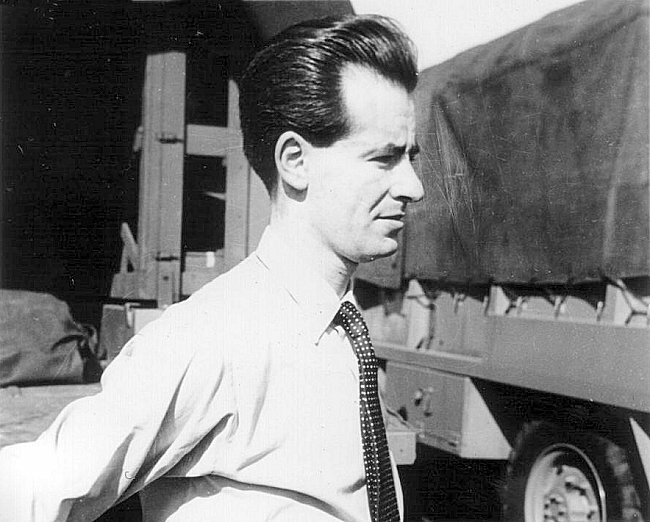 Ivan Mark, with a bad haircut, is tense during the second day of DND inspections - May 1951. 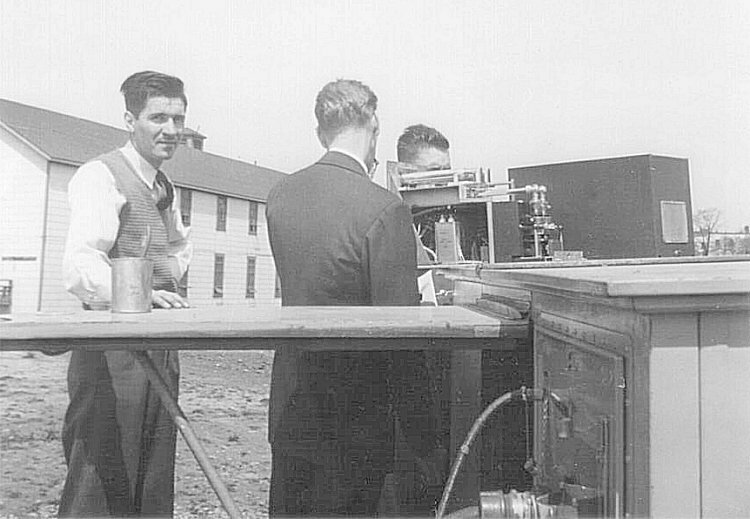 An RF unit with Lecher bars is open on the top of the "doghouse" during a DND inspection - May 1951. John Livick, CAE, looks apprehensive. Facing away from the camera is Frank Watts, CAE Team Leader. The convoy was accepted by the DND - May 1951. 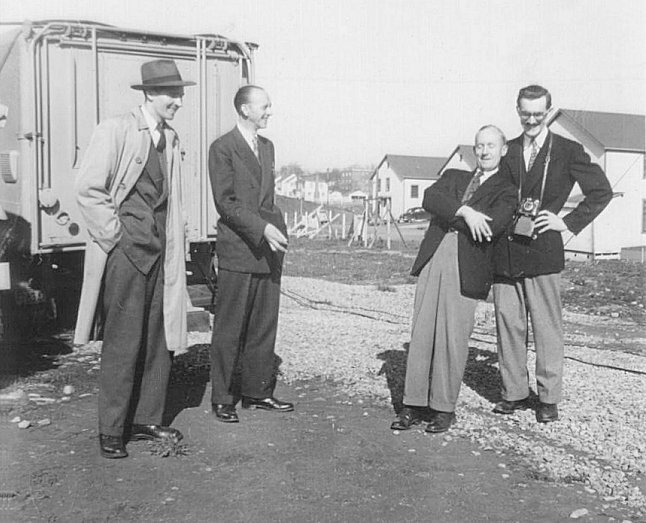 (L-R_ John Livick, Frank Watts, Tom Smalley and Jerry Lyman in a relaxed mood. 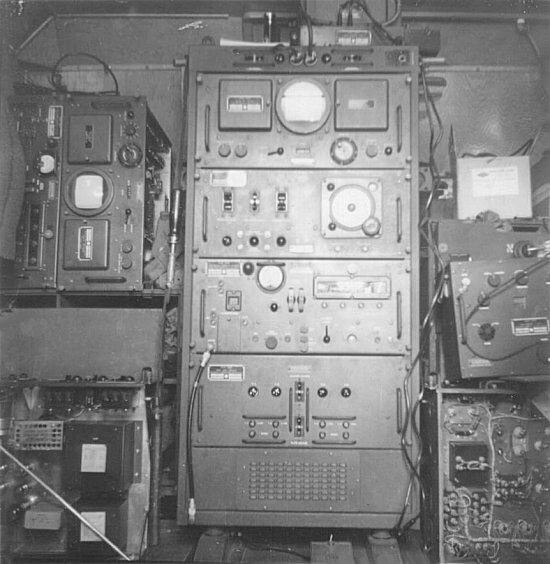 The IFF equipment cabinet - May 1951. Starting at the top: Display unit, antenna control unit, transmitter-receiver ad power supply. To the right and left are spare chasses and a signal generator, all awaiting storage. To the left of the antenna control unit is hanging what looks like a hefty "American Beauty" 100W soldering iron. 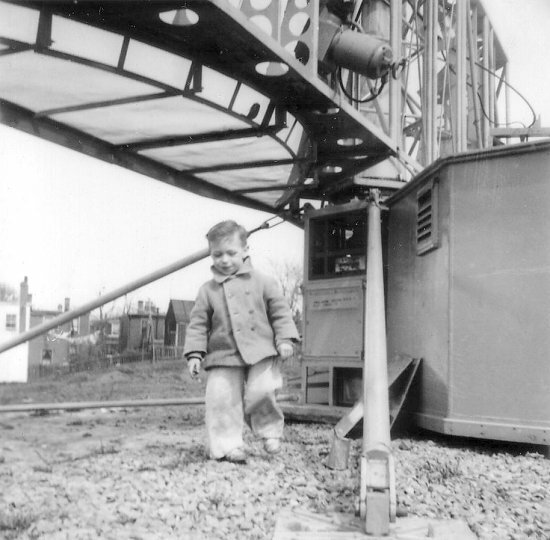 Unidentified "local tresspasser" under the radar antenna - May 1951. Organization Order 4/50 - 25 February 1950.